The new world of music is here. The large and classy Beats Studio Headphones just got better. It has Precision sound to make music hearing experience more real and precise. Beats Acoustic Engine makes it seem as if the greatest musicians are themselves playing your favourite songs live. Sound cancelling technology is also available making sure that you and your music and be in touch at all times. One can choose to increase or decrease the level of noise cancellation through Adaptive Noise Cancelling technology. A 20 hour rechargeable battery ensures that you never run out of charge and that you and good music never lose touch. Be it for a long journey or daily commute to work, the Beats Studio 2.0 over Ear Headphones will never desert you. Even charging has become simpler with the newer more efficient model with micro USB adapters. The Battery Fuel Gauge will keep you informed about how much charge is still left. With 13% of the original weight shaved off, the new Beats Studio is lighter, sleeker, stronger and even sexier. It has new curves along with a more streamlined outlook. It is sure to keep you riveted to whatever you are listening to. In terms of their sound performance, their sound is placed on the top-tier of Beats models for quite a few reasons. First, as it has been mentioned, their noise-cancelling technology makes certain that you listen to your selected music only, and that the sound is not disturbed by environmental noises. Their leather earcups and adjustable head band ensure high levels of comfort. The impressive in-line remote system, gives complete control over volume and the built-in microphone, meaning that you can make and take calls whilst you’re on the move. DOES THE BEATS STUDIO 2.0 LIVE UP TO THE EXPECTATIONS? The answer is yes and this is why. First of all, their great design makes them one of the best headphones in their category, and bear in mind that they come in quite a few colours. They have a lighter weight than the previous versions and are quite sleek and modern in their looks, which doesn’t make it a burden to carry around. 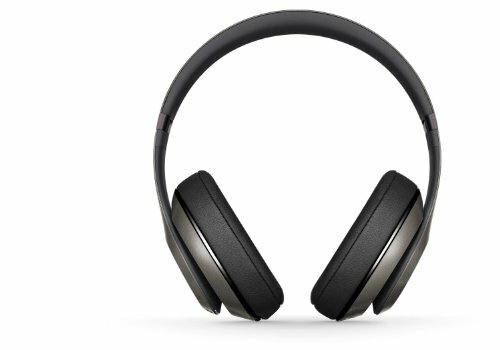 The Beats Studio 2.0 headphones are durable, foldable, and easy to charge. Their main feature is their control of sound and exceptional noise-cancellation, which ensure that you only listen to your music, and not to your loud neighbours. Their built-in microphone in conjunction with the controls, enables you to answer to phones calls directly. It is a great purchase for those who prefer the Beats brand and are not budget constraints, and are not interested in wireless headphones.